Last week, I sent you a quick email heads-up about the latest Consumer Reports story “Rage Against Robocalls” and our campaign. Attached is the Consumer Reports print magazine, on newsstands everywhere and already profiled on CBS This Morning. Now that the FCC has made it crystal clear that phone companies have the legal right to stop unwanted calls before they reach our homes, and the nation’s attorneys general have urged carriers to take action without further delay, we’re anxious to hear about the solutions that AT&T is ready to offer. We are fully on board with this request, and share the concern expressed in the letter about the need to inform consumers about steps they can take to halt calls and identify robocall perpetrators. Our members offer a number of call blocking solutions, from tools that force anonymous or out-of-area callers to identify themselves before the call is completed to call rejections and white-listing approved callers. Strong enforcement against illegal robocallers is critical, and we will continue to work closely with the Federal Trade Commission and federal and state prosecutors to put bad actors out of business. Federal and state agencies have successfully enforced the law against some bad actors. Unfortunately, as soon as one scam is shut down, another one appears. That’s why it has become urgent that the phone companies step up. This problem simply can’t be solved with better law enforcement. Consumers deserve the choice to opt-in to advanced call blocking services, so they can decide for themselves whether the benefits outweigh any potential downsides. Moreover, effective, optional call blocking technology, such as the Primus Canada Telemarketing Guard, can screen unwanted calls while taking steps to avoid inadvertently “blacklisting” wanted calls. As you can see from the enclosed magazine, consumers around the country helped Consumer Reports examine an array of call blocking devices. 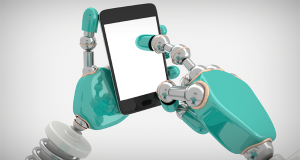 The consumers who participated in these tests overwhelmingly reported positive experiences with services like Nomorobo, which significantly reduced the number of robocalls they received. We are calling on you to upgrade your services to offer a similar option to all of your customers for free. In the few months since we launched this effort, hundreds of thousands of Americans have joined Consumers Union’s campaign calling on AT&T and the other top phone carriers to offer free, effective call blocking technology. It’s time to offer your customers the protection from unwanted robocalls that they deserve.